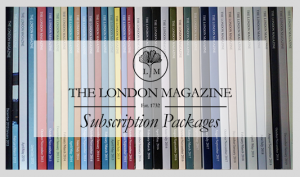 It’s been a fantastic year here at The London Magazine so to celebrate we’re offering all six 2017 issues in one lovely gift bundle! 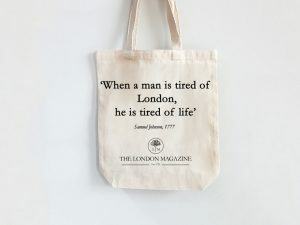 The perfect present for literature lovers this Christmas. Please note: due to limited stock, Feb/March 2017 is now unavailable. A replacement issue will be included instead. 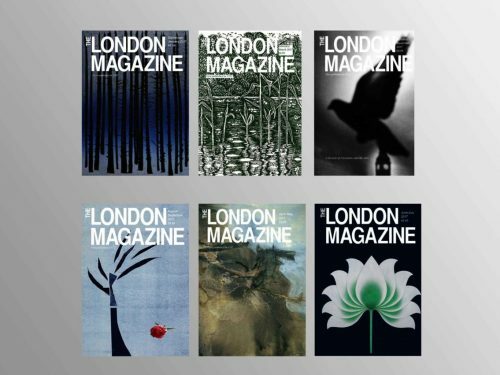 It’s been a fantastic year here at The London Magazine so to celebrate we’re offering all six 2017 issues in one lovely gift bundle! The perfect present for literature lovers this Christmas and an absolute bargain – limited stock so hurry! Please note: we are now out of stock for the Dec/Jan 2017 issue, for which a replacement edition will be sent.